If any of you guys are new to the T-Rex, and are having performance or setup issues, PLEASE do not hesitate to contact me. There is a basic tune up procedure and on/off pin requirements to get the T-Rex to scream, real basic stuff, but if you're unaware you may not be getting everything out of the pneumatics. Please hit me up, I'm glad to help. Do you have an video of how it should shoot? I have one now, and will buy another one. No video (sorry) are you having trouble? If so LMK what it's doing and your valve and on/off setup and pin length. I've tested this setup at 36 cps and it's more than capable (but it eats the sear ) so it will handle any finger speed you can muster. If it's slow and sluggish it can be corrected.. If your fingers can out run the T-Rex you probably have valve issues of some sort. How do I go about making mine a sleeper with the air going threw the ASA and up into the LPR?? time to make a slurpee! I see that luke is only modifying the new style CP direct mount ASA. I happen to do both so if you have an old style CP asa. PM me for assistance if need be. ......You know you want one!! 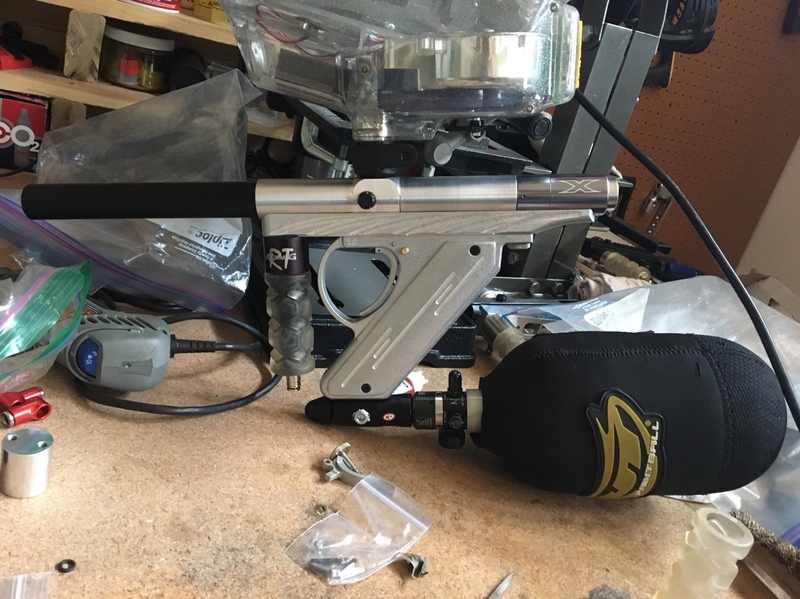 I’ve got old style CP asa’s (sleeper modded) I’d like to get rid of if anyone would like one for cheap. Pm me. Me too, but your box is full. Finally got my Z2 Mag in a form to my liking and it’s really, really comfortable to shoulder. Hopefully I’ll be ano’ing it before too long. Sweet! Can't wait to see it after ano. Does anyone know Kim Phan, maybe on Facebook or another forum? He put a deposit down then disappeared. He's not a member here, he always does business through my email but I think he uses his wife's account and she(?) has ignored all my attempts to contact him.